There are few countries as ideally suited towards romance as the country of Ireland. There are several different castle hotels offering luxury accommodations, cozy lodges and cottages, and hidden hideaway, all set in idyllic surroundings perfect for a romantic getaway. 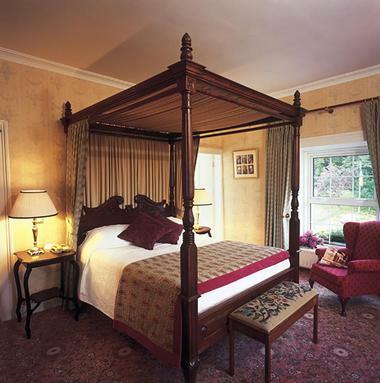 The Abbeyglen Castle Hotel is a four-star hotel just outside of Clifden in County Galway, housed within a castle built for splendor and comfort back in the year 1832. 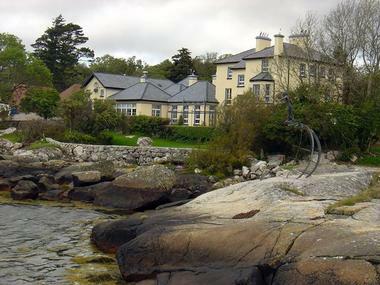 The hotel boasts an authentic ambiance of superior comfort and friendliness throughout the grounds and is surrounding by the stunning picturesque Connemara landscape. The Abbeyglen Castle Hotel alost features comfortable bedrooms with plenty of amenities, award-winning cuisine, and a relaxation and wellness center. When guests arrive, they are welcomed with complimentary scones and tea, as well as complimentary canapés and bubbly drinks in the piano bar in the evenings. The Hayfield Manor Hotel Cork is a luxury boutique, family-owned and operated five-star hotel that is consistently ranked as one of the country of Ireland’s top hotels. The Hayfield Manor in Cork, Ireland is discreetly located within the grounds’ beautiful wall gardens, providing a peaceful oasis inside of the vibrant and bustling city. Orchids, the signature restaurant at the Hayfield Manor Hotel Cork, overlooks the private gardens and provides some of the city’s best fine dining. Hotel features elegant guest rooms and is also well known for being a family-friendly hotel for its catering to younger guests. The beautiful Ballyseede Castle, located in County Kerry, is another example of the country’s finest luxury castle hotels and is the only castle hotel in Kerry. The four-star hotel is located close to the town of Tralee, along the world-famous Ring of Kerry, and boasts award-winning cuisine, forty-four exquisite en-suite guest rooms, and a relaxed atmosphere. Ballyseede Castle aims to provide guests with the highest levels of service and comfort, offering modern day comforts combined with old-world elegance. The grounds include thirty acres of gardens and ancient woodlands. The hotel also is home to the 2-star AA Rosette O’Connell Restaurant. The Bayview Hotel is situated proudly in one of the most stunning setting in Northern Ireland as it overlooks the Atlantic Ocean in Portballintrae, a picturesque harbor village. It is located just one mile away from Bushmills along the famous North Antrim Coast Road. Junior Suites and Superior Rooms have an amazing view of the bay, with guests able to watch the sun setting on the ocean horizon. The Porthole Bar and Restaurant offers intimacy and warmth and is the hotel’s focal point. 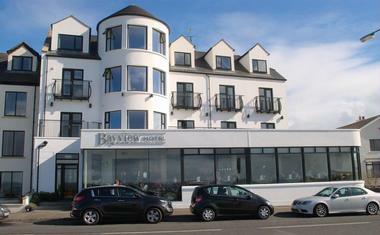 The Bayview Hotels is also conveniently located for travellers to get the most of their trip on the north coast. The Beech Hill Country House Hotel boasts that it is the epitome of gracious country living and Georgian elegance, a hotel where the pleasure and comfort of guests always comes first, ensuring genuine and warm hospitality. The hotel is located only two miles from bustling Derry-Londonderry in the richly wooded countryside, next door to the amazingly scenic County Donegal of Ireland. 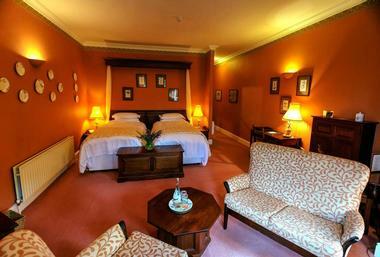 Guests will find a wide variety of well-appointed, cosy, and comfortable rooms at the Beech Hill Country House Hotel. Guest rooms include coffee and tea-making amenities, a direct dial telephone, hair dryer, trouser press, free Wi-Fi, and a television. Bellingham Castle sits in the center of the medieval Castlebellingham village in Ireland’s County Louth and is reached by way of a tree-flanked, private drive. 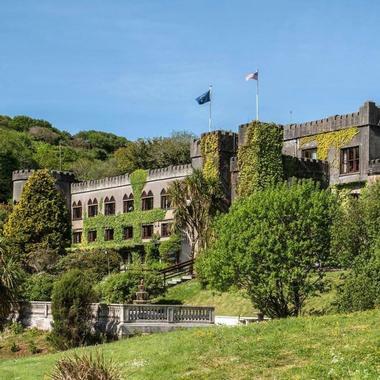 The castle itself acts as the seventeen-acre estate’s centerpiece with the grounds also including formal gardens, mature trees, and a man-made river island featuring footbridges. 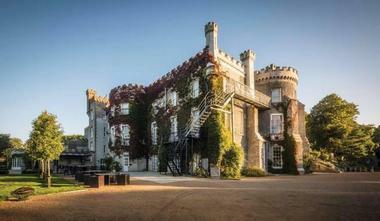 The castle hotel consists of nineteen luxury guest rooms, each uniquely designed. Depending on the room, guests may be able to view the formal gardens, church steeps, the fountain, or the River Glyde. 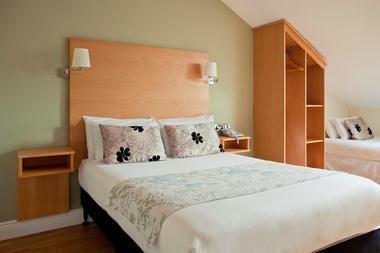 All rooms contain televisions, en-suite luxury and spacious bathrooms, free Wi-Fi, and coffee/tea makers. The Cabra Castle Hotel is an inviting place where guests can wander through reception rooms, relax by the fireside, read a book in a quiet corner, or simply enjoy the cosy and welcoming atmosphere at one of the country’s best known castle hotels. Situated on approximately one hundred acres of gardens and parkland, the hotel boasts period furnishings and features that create an old-world charm and a long tradition of friendly and warm service. The four-star hotel consists of just over one hundred bedrooms, six quaint cottages that can accommodate up to ten people, and a renovated Gate Lodge. 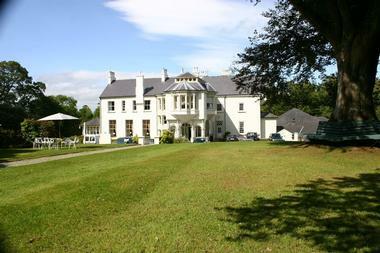 The Clone Country House is located in heart of beautiful and vibrant County Wicklow, only an hour away from Dublin. The hotel provides quality accommodations and a unique experience for a holiday with rooms for only twenty-six guests. Clone House was constructed back around 1650 and is surrounded by gardens and private land totalling around five acres. The Clone House hotel includes exquisite dining options for groups, a Victorian sitting room, and beautiful gardens in addition to its guest rooms, as well as tailored packages ranging from five to seven days that include trips to historical castles, gardens, and more. The Coach House Hotel Oranmore provides romantic accommodations in Galway, Ireland and boasts easy access to the center of the city. The hotel is conveniently situated in the heart of the Oranmore village area and is well known of its fine dining experiences and excellent guest accommodations. First opening in 2007, the hotel includes sixteen en-suite modern bedrooms, a hotel bar, on-site parking, and the award-winning Basilico restaurant that serves Italian cuisine. Each guest room features free internet, cable television, crisp linen, fluffy towels, a free morning newspaper, and coffee/tea-making facilities. Guests can also park at the hotel for free. The Delphi Lodge is a country house, hotel, and fishing lodge that was originally built in the 1830’s in one of Connemara’s most spectacular settings. It is nestled within an unspoilt, wild, and beautiful valley and spans across around one thousand acres. The Delphi Lodge provides tranquility, great food, stunning scenery, and charming guest accommodations. The historic lodge is a famous hideaway for holidays, surrounded by the region’s tallest mountains and overlooking the rivers and lakes of Ireland’s Delphi Valley. Twelve comfortable and spacious guest rooms make up the hotel along with a family suite that can consists of triple or twin rooms. 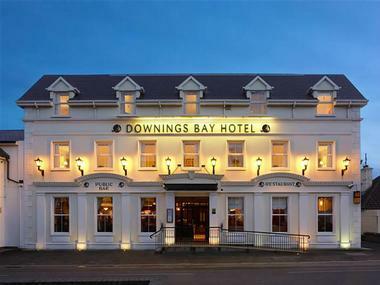 The Downings Bay Hotel is located in Downings, a quiet coastal village and is a family-run, three-star hotel consisting of forty en-suite and luxurious bedrooms. The hotel is situated on Sheephaven Bay, providing a picturesque setting. 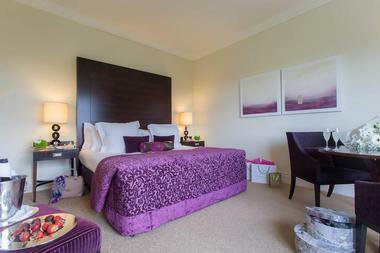 All guest rooms are completely en-suite, featuring bathrooms with luxury toiletries and a shower/bath. Each room is tastefully decorated with soft furnishings, as well as direct dial telephones, iron and trouser press, a hair dryer, coffee/tea-making facilities, a color television, security lock card keys, free wireless internet, and famous McNutts tweed bed throws. Interconnecting rooms are also available. 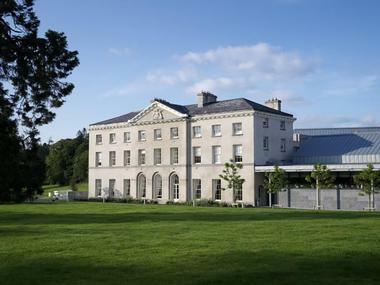 The Farnham Estate Spa and Golf Resort is situated on a scenic 1,300-acre country estate just outside of Cavan Town. 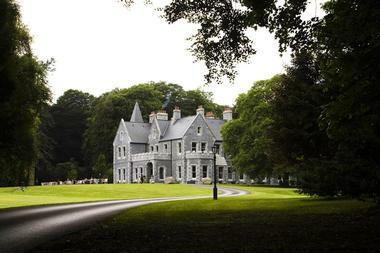 The resort is one of the most popular golf and spa destinations in the country, with an excellent reputation for being a true “retreat to nature.” The grounds of the Farnham Estate include pristine lakeland, rolling meadows, and ancient forest, as well as a superb health spa, 18-hole golf course, delicious and healthy cuisine, and excellent guest accommodations. The hotel is made up of more than 150 guest rooms and suites boasting spectacular views of the countryside surrounding the estate. The Ballynahinch Castle Hotel is situated along Ireland’s Wild Atlantic Way and is considered to be one of the finest luxury castle hotels in all of Ireland, voted as the number one hotel of its kind by Condé Nast magazine readers. Set on a private estate encompassing approximately seven hundred acres, the hotel grounds consists of woodlands, walks, and rivers in the heart of County Galway in Connemara. 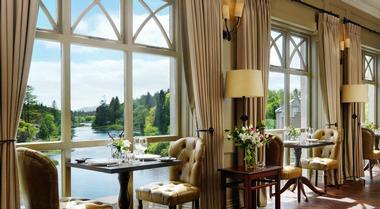 The Ballynahinch Castle Hotel overlooks a salmon fishery with the scenic 12 Bens Mountain Range in the backdrop. The hotel consists of forty-eight individually decorated Classic, Superior, and Luxury guest rooms. The Lough Inagh Lodge Hotel is set amidst some of the most beautiful scenery in Connemara, Ireland. Guests at the hotel can join pony treks, hill walks, golfing, shooting, and fishing, or simply relax in the peaceful atmosphere provided by the hotel, including the library featuring an open log fireplaces and an oak-panelled bar that symbolizes the warm hospitality of Inagh. Thirteen guest rooms are equipped with an iron, air-conditioning, a minibar, television, and free wireless internet. Laundry and room service are provided as well. The Lough Inagh Lodge Hotel includes a bar, a restaurant and secured parking for guests as well. The Lough Rynn Castle Estate and Gardens offers luxurious accommodations that features a meticulous attention to detail, as well as modern day touches, such as underfloor heating, air-conditioning, and wireless internet. Each of the forty-four luxury and unique guest rooms and suites boasts soft bed linens and quiet surroundings to ensure guests get a good night’s sleep. Whether guests choose Lord Leitrim’s Baronial Hall, the Drawing Rooms, the secret Dungeon Bar, or the Sandstone Restaurant, the hotel’s aims to provide only the best dining experiences, using recipes consisting largely of the produce from the Lough Rynn Castle garden. 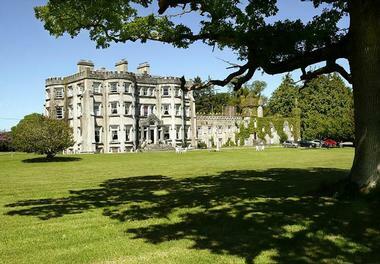 The Lyrath Estate Hotel in a one-of-a-kind hotel in Kilkenny, Ireland encompassing 170 acres of land in the countryside of Ireland, complete with emerald woodlands, historic gardens, and picturesque lakes. 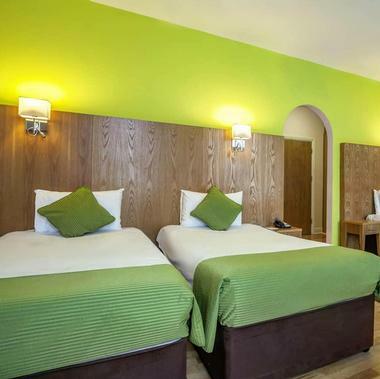 The hotel provides “the best of worlds” with its location in Kilkenny City, but elegantly situated along the modern-day extension, combining the new and the old. 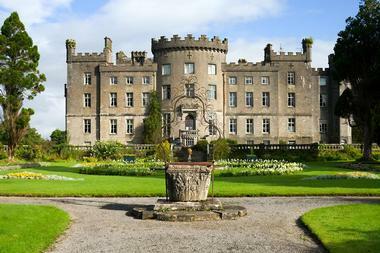 Kilkenny City is a lively center known widely as the heart of medieval Ireland. The history Lyrath Estate House was built during the seventeenth century. Now a hotel, it consists of almost 140 unique guest rooms and the award-winning Oasis Spa. The Markree Castle is modern luxury housed within an authentic fifteenth-century Irish castle along the famous Wild Atlantic Way in the beautiful County Sligo. The grounds encompass five hundred acres of scenic land. Thirty guest rooms make up the Markree Castle hotel in a range of sizes, including twins, doubes, suites, and rooms for families. Each room features several amenities, such as flat screen televisions, coffee and tea making facilities, en-suite luxury bathrooms, and thermostatic heat controls. 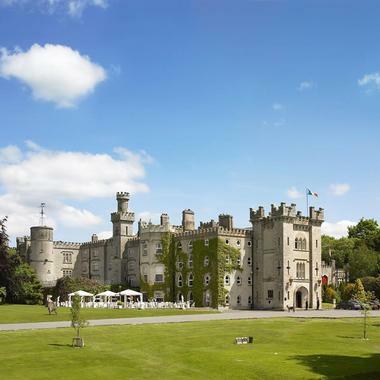 The castle hotel is a member of the Original Irish Hotels, along with its sister castles: Cabra Castle, Bellingham Castle, and Ballyseede Castle. The Mount Falcon Estate hotel is located in heart of Ireland’s Wild Atlantic Way, providing a perfect accommodation to stay during the 2,500-kilometer journey through the country. The estate is also an embodiment of western Ireland’s rugged and stunningly spectacular coastline. The Mount Falcon Estate is known for its award-winning food and luxurious accommodations, and offers relaxation, rest, and fun in several ways, such as relaxing at the Spa and leisure center, fishing for Atlantic Salmon, walking with Hawks, taking aim at the Clay Shooting or archery range, or taking a cycle or walk on the forest trail. O'Neills Victorian Pub & Townhouse provides guests with an authentic taste of Ireland’s capital in the city’s heart. The hotel is much smaller than most hotels in Ireland, with only eight guest rooms in the townhouse hotel, each with modern bathrooms, tastefully decorated, and offering free wireless internet. 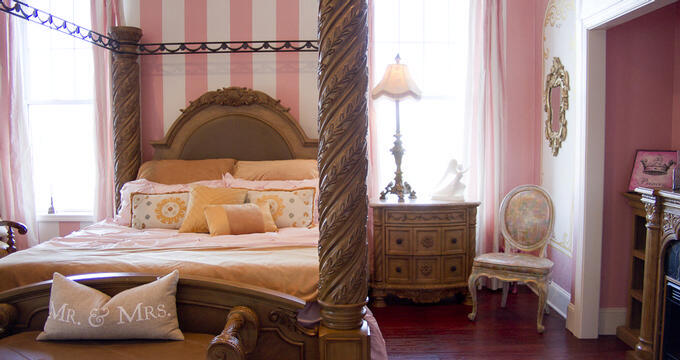 Guests can choose from different room types and experience the elegance and splendor of a bygone era. On-site facilities consists of a dining room that provides an opportunity for guests to make coffee or tea and a computer for guest use. The O’Neills Victorian Pub has been around since 1885 through four generations. The Parknasilla Resort and Spa is a luxury resort that overlooks the water of the Kenmare Bay along both the Wild Atlantic Way and the Ring of Kerry, set in a 500-acre paradise of hidden beaches, inlets, and islands. Guests can stay in luxury accommodations and wake up to stunning views of the sea, get pampered at the spa, explore the coast along the walking trails, take a guided tour aboard a sea kayak, play a round of golf, dine on exemplary dishes, and more. The 12-hole golf course features spectacular views of the mountains and the sea. The Ross Lake House Hotel is located in Galway, Ireland and was originally a Georgian House built during the nineteenth century. The charming hotel is set among rolling lawns and rambling woods, providing a true haven of tranquility and peace. Good taste and comfort are reflected in the thirteen spacious suites and guest rooms in the Ross Lake House Hotel. Each room is uniquely decorated, blending the present and the past, and are reflective of the Georgian period while also offering modern comforts like free wireless internet, a hairdryer, and a television. Dining at the hotel provides an Irish experience. 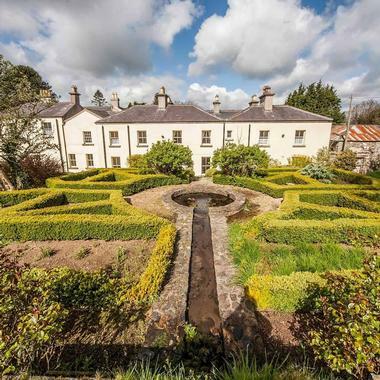 The Screebe House is one of the finest Victorian country houses in the country of Ireland, providing guests with unmatched tranquility within the stunning setting of Rosmuc, only about forty minutes away from Galway City. All of the guest rooms are tastefully decorated with original period features and antique interiors, as well as include bathrooms with underfloor heating. There are only eight rooms in the main lodge, which include three junior suites and five deluxe rooms. 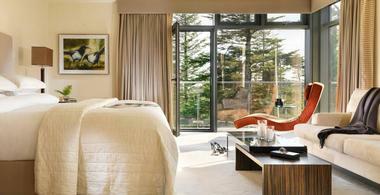 Two additional deluxe rooms are located in the Spa Lodge, which also provide a sauna and revitalizing treatments. On-site amenities also include on-site fishing, hunting, and dining. The Skeffington Arms Hotel is a three-star, luxury boutique hotel in Galway City that offers intimate, affordable accommodations with a big personality. The luxury small hotel is only a short walk from the shopping district of Galway, where guests can find many different bars and restaurants. There are twenty-four en-suite superior guest rooms available at the Skeffington Arms Hotel, each one with a touch of luxury and class. The hotel also features the Skeff Bar and Kitchen with nightly live entertainment, and several other bars, such as the Premium Gin Parlor and the 1852 Whiskey Vault. The Slieve Russell Hotel Golf and Country Club is a four-star luxury hotel in that offers accommodations in the peaceful setting of County Cavan in the town of Ballyconnell. 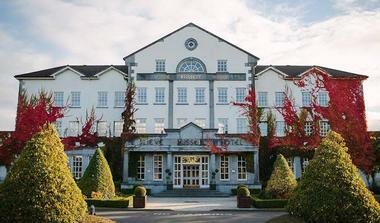 Spanning across three hundred acres, fifty of which are lakes, the Slieve Russell Hotel, along with its Ciúin Spa & Wellness Centre, provides a unique guest experience in leisure and relaxation. Among the many facilities at the hotel are a spa, a championship golf course, a driving range, a leisure center offering a variety of outdoor and indoor activities, a par-3 Academy Golf Course, conference center, and free Wi-Fi throughout the property. The Dunraven Adare is a family-owned and operated, luxury, stylish hotel located in the center of Adare, a world-renowned and picturesque village in County Limerick. 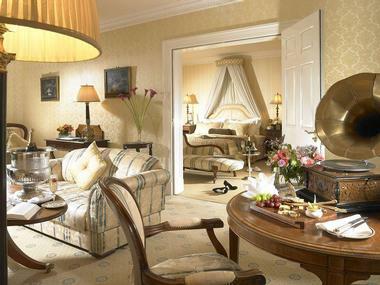 This luxury four-star hotel is one of Ireland’s oldest establishments, dating back to the 18th century. 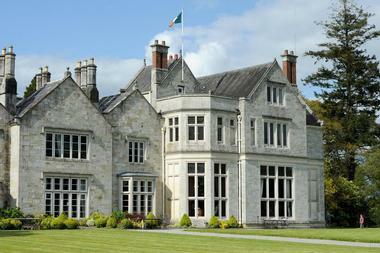 The Dunraven Adare was features in 1911 in the first Michelin Guide of The United Kingdom and Ireland. There is the Maigue Restaurant that has won awards, eighty-seven guest rooms, a conference center, a grand ballroom that can accommodate up to three hundred, and a leisure center with beauty rooms, a gym, a sauna, and a swimming pool.